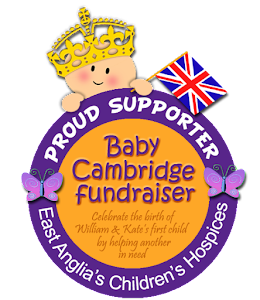 While we wait for Baby Cambridge to make its much longed-for appearance (and it's been a long wait so far, poised to get even longer if the baby turns out to indeed be a Leo, as rumored, as we won't enter that astrological sign until 23rd July...agh! 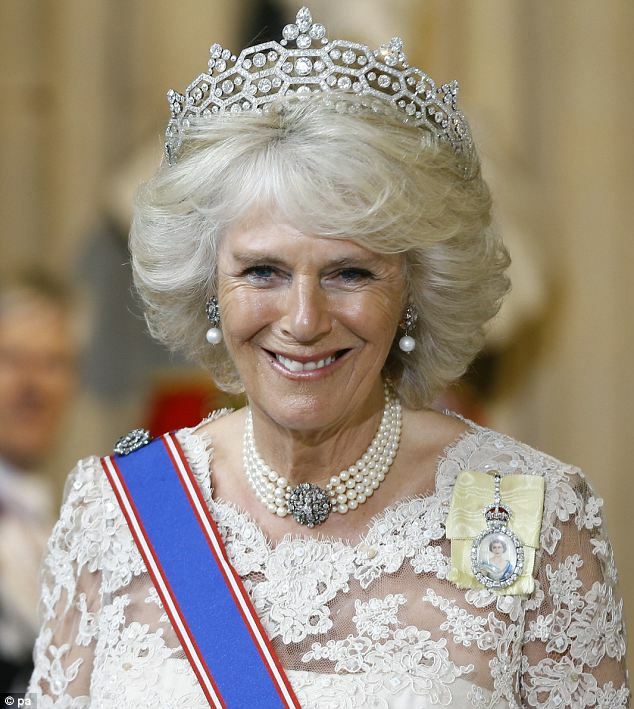 ), let's try to distract ourselves with a look at the Greville Honeycomb tiara, one of those most frequently worn by the Duchess of Cornwall, who turned 66 yesterday. 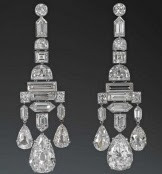 Made in 1921 by French jewellery house Boucheron for the Hon. 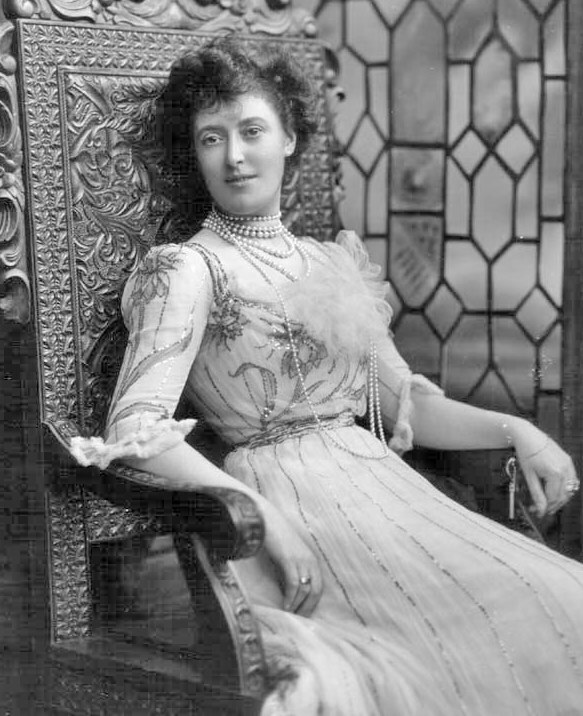 Mrs. Ronald Greville, one of the great society hostesses of her day and the flamboyant mistress of Polesden Lacey in Surrey, it was part of a larger suite of magnificent jewels that Mrs. Greville, being childless, choose to bequeath upon her death in 1942 (rather generously, if I may say so! ), to Queen Elizabeth (later the Queen Mother). Mrs. Greville did like her diamonds, apparently, as the bequeath, apart from the tiara, comprises the extravagantly large Greville bow brooch, the Greville chandelier earrings (among the wedding presents that Princess Elizabeth received from the King and Queen), a scroll brooch with pearls, the magnificent Greville festoon necklace (currently on loan to the Duchess of Cornwall together with the tiara), a pair of ivy-leaf diamond clips and the Greville peardrop earrings. 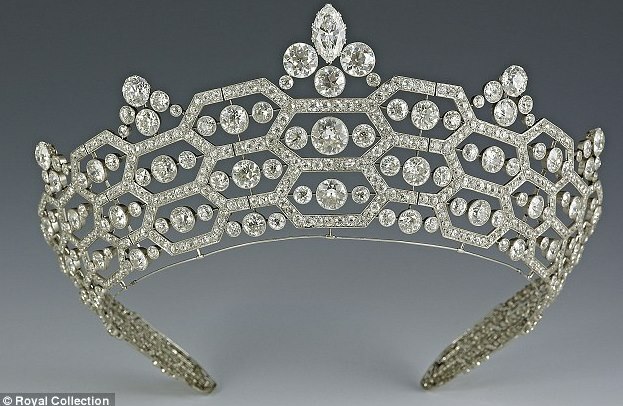 But back to the tiara now - it is a very modern piece for its time, with a strong geometrical honeycomb design. 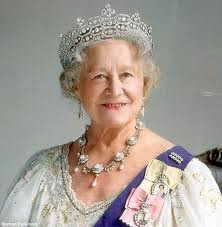 In its original, 1921-form, the tiara lacked the diamond accents on top, so the design looked much more like that of a basketweave. 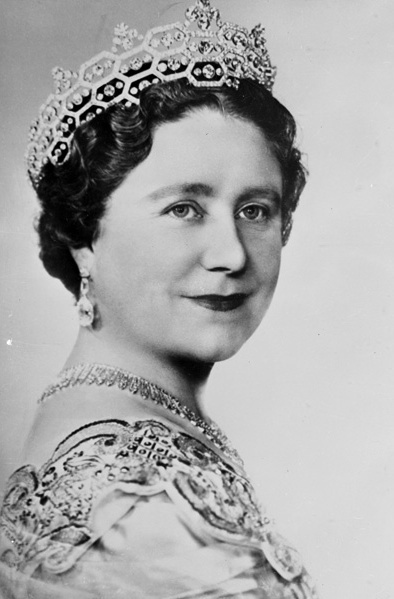 In 1953, she sent the tiara to Cartier, to increase its height by rearranging the clusters of brilliants at the top into triangles, adding a marquise-cut diamond as a centrepiece. 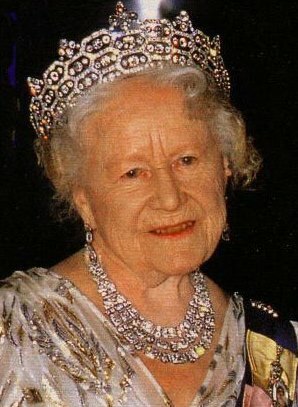 The tiara was one of the most frequently worn by the Queen Mother; upon her death in 2002, it was inherited by the Queen, who has since loaned it to her daughter-in-law the Duchess of Cornwall. 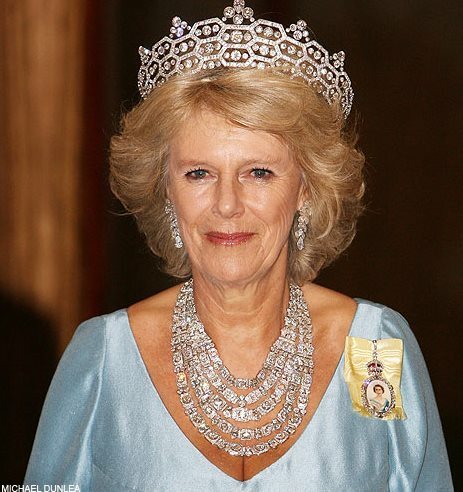 The Greville honeycomb tiara is probably the piece worn most often by the Duchess of Cornwall, who seems to prefer it to the, apparently heavier, Delhi Durbar tiara. 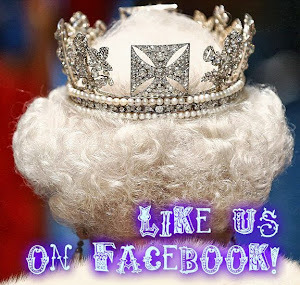 At the 2013 State Opening of Parliament, the Duchess' first.